Adam is originally from Tallahassee and graduated from the College of Business at Florida State University with a bachelor in science in hospitality. Upon graduation, he moved to San Francisco to work with Houston’s restaurants and study wine. His success in the industry sent him to the New Orleans location and then to Atlanta after Hurricane Katrina. Adam then had the opportunity to join The Capital Grille in Orlando and go on to open locations in Jacksonville and Naples. He became a sommelier with the Court of Master Sommeliers and the at the age of 27, became the youngest managing partner in the company, and moved to Tampa. 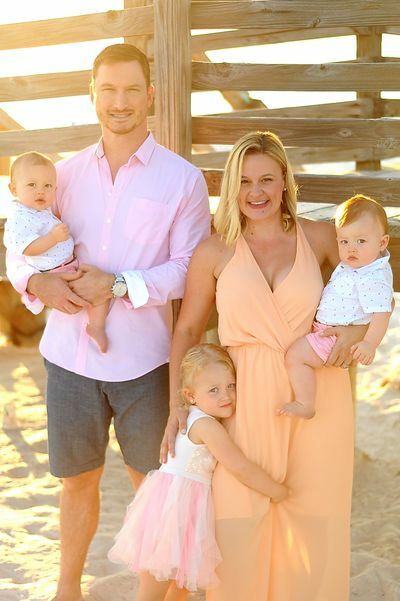 After moving to Tampa, Adam wanted a new challenge and decided to open his own financial planning practice before the age of 30. In 2011, he aligned with Northwestern Mutual to ensure he had the proper training and advocacy for his clients. After learning from some of the best for 7 years, Adam and his team took the leap of faith and opened up the doors of Taylor Financial officially June 2018. He has continued to excel in making an impact in his community and has been recognized for having a thriving practice. He was voted top 40 advisors under 40 by NAIFA in 2014, and won numerous industry awards. He has qualified for Northwestern Mutual FORUM in 2018 (Qualifiers represent the top segment of our industry leading field force and is the highest level of productivity and excellence). In addition, he has been a member of the Million Dollar Round Table since 2012 and now focuses on teaching others. Adam believes opening his own practice will position him and his team to better serve his clients using agnostic solution-focused methodologies. He holds his Series 7, 6, 63, and 26 licenses as well as the ChFC®, CLU®, RICP®, CASL®, CLTC designations from the American College and is constantly improving as a leader and business owner. He is active in the community and has had involvement serving as a board member of the Westchase Charitable Foundation, Being the Chair of Business Wise II, and is currently the Corporate Sponsor chair for Tampa's Armed Forces Electronics and Communication Association (AFCEA). Adam’s biggest passion is his family. He has been married to his wife, Andi, since 2009 and they have 3 kids together. His daughter Abbi, twin boys Alexander & Anderson, and his black lab Ace round out the “A Team”. In his free time, he enjoys watching Florida State football, cycling, and spending time with his family. Reach out to Adam if you are looking for a financial professional who can build a comprehensive plan around insurance, investments, tax strategies, estate planning, and overall financial planning. He will coordinate with your team of advisors and values the personal service that he gives to each of his clients.